Concealer? Nope don’t need it. Very obvious but well kept secret – skincare’s only half the story on the quest to your best skin yet. In fact skincare is in some skin cases less than half the story. Crazy ‘eh. Food my friend is fuel… and your skin cells need fuelling 24 hours a day, 7 days a week, 365 days a year. Feed them the wrong stuff and you could be not only worsening but also causing skin troubles. Acne is a biggy. Feed your skin cells the right stuff. The yummy stuff and instead your skin could be making pregnancy glow without being pregnant. Awesome sauce. …and if we’re being extra picky – sushi, sashimi or as rarely/slowly cooked as possible. Yum. Salmon is a best food for skin because it has an extremely high amount of omega 3 fatty acids. Which are pretty much the only kind you need to worry about for great skin. Sure omega 6 is important too – but bottom line – you’d have to be trying really, really hard to not have enough omega 6 in your diet right now. Like ridiculously hard. Omega 6 is everywhere. Bonus: Salmon also contains powerhouse antioxidant astaxanthin – it’s what makes salmon red. Astaxanthin (who names these beauties ‘eh) is linked to helping prevent your skin from pro-ageing damage aka it could help you look younger, longer. Yes please. What!? Buckwheat. Huh? Do not worry my friend – if you’ve never heard of buckwheat – you are not alone. Buckwheat is a grain-like-seed aka you can cook buckwheat as a super-food alternative to white rice. It’s an especially great food for skin if you commonly get redness, rosacea, spider veins or red marks on skin. Because buckwheat is a great source of another tongue-twister antioxidant known as rutin. Which it’s likely can… help strengthen your blood vessels and capillaries plus help promote overall healthy circulation. And when your capillaries are healthy – they’re less prone to flushing/dilation/making your skin look red/spider veins and even things like varicose veins. Disclaimer: These best foods for skin are only effective when eaten as part of a clear skin diet. 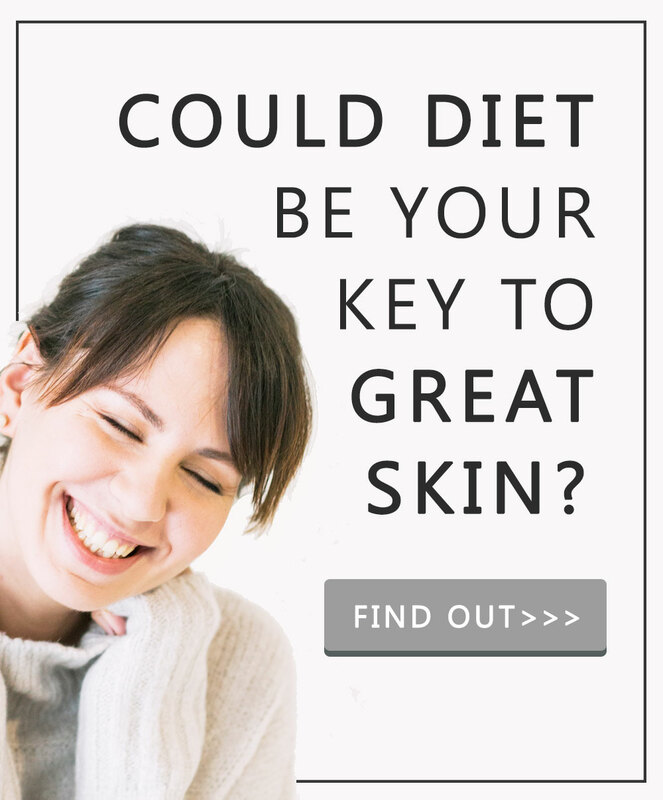 Aka if you follow salmon with a heck load of cheese, white pasta and cake – it’s best foods for skin 1, worst foods for skin, 3. Come get Your 2 Week Clear Skin Meal Plan here for a foolproof step by step. Fact – your skin can be protected against ageing UV light in 2 ways. 1) you can put things on-top of it aka sunscreen, sunblock or clothes and 2) you can eat a diet rich in UV protecting antioxidants. 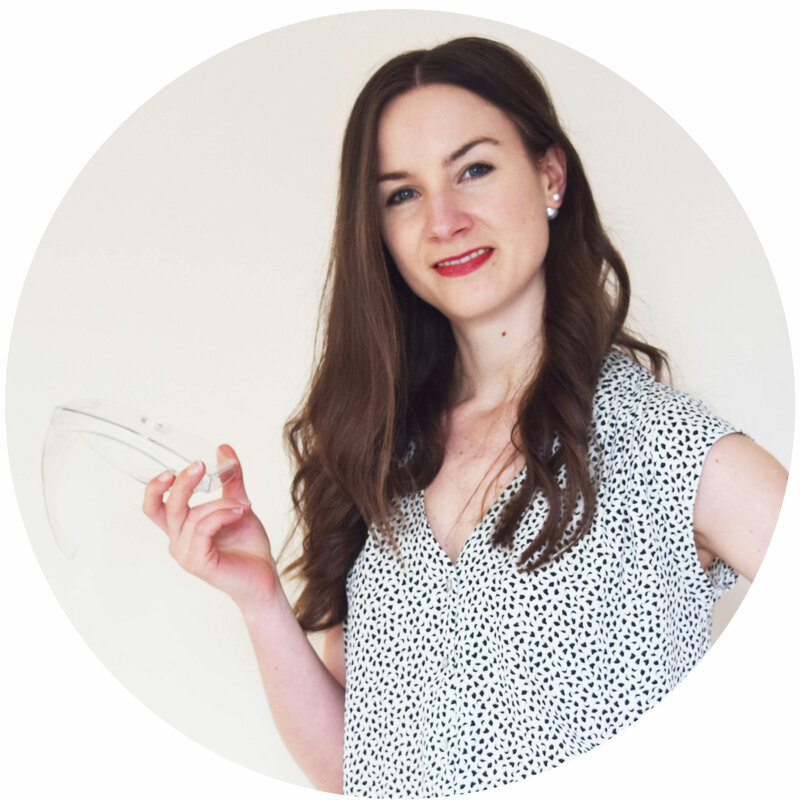 For the best protection against UV light and therefore premature skin ageing – you’ll want to be doing both. Double fact: UV light is responsible for a ridiculously huge amount of skin ageing under your control. UV light loves to party with your skin till the wee-hours. Studies show eating a diet rich in tomatoes/tomato paste can help your skin resist UV caused reddening aka a sign your skin’s been damaged by UV light. Bottom line: Tomato paste helps delay and when you’re also sun cautious – prevent premature skin ageing. Which contains a mega-load of pro-vitamin A aka beta-carotene. Did you know vitamin A is clinically proven to make your skin look younger? Seriously – doctors prescribe vitamin A for 2 reasons 1) to get rid of acne and 2) to help get rid of fine lines and wrinkles. Now imagine what you could prevent if instead of waiting for either of these 2 things to happen – you did it first. Prevention not cure. Epic. Plus – sweet potatoes taste so epically awesome it’s practically like eating cake. Be smart: Steamed sweet potatoes are healthiest. The way you cook best foods for skin – matters. Come grab Your 2 Week Clear Skin Meal Plan here to find out/be guided on the ‘how’. Not only are yellow peppers so much more of a taste sensation than green peppers – but in comparison to those pesky green ones they also have double the amount of vitamin C – a hugely important healthy skin vitamin. Without vitamin C your skin would literally fall apart. Eat no vitamin C and your skin can’t make collagen. Eat lots of vitamin C and your skin’s new favourite workout class will become Collagen Pump. Collagen is a skin protein which holds your skin up. When it gets broken, your skin crinkles like a bouncy castle with leaking air. Which means – you guessed it – eating a diet with a super source of vitamin C is extremely important for helping your skin resist ageing. Psst: Eating just half a cup of yellow peppers per day will give you well over your recommended daily allowance. 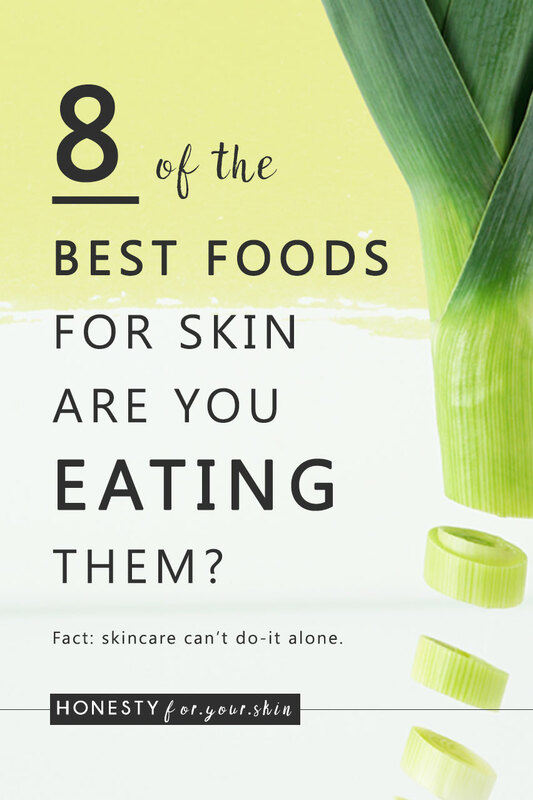 The simple and unassuming leek is a fab best food for skin. Here’s the deal – your gut has huge impact on your skin and if we’re going into detail – the bacteria in your gut has enormous impact on your skin. But – it’s estimated up to 40% of us could be suffering from a condition known as SIBO – small intestine bacterial overgrowth. Essentially bad bacteria winning. SIBO is especially implicated in rosacea. Where studies show when SIBO is reversed, rosacea symptoms can reduce or even go away. If SIBO returns – rosacea comes back. Essentially a bad bacteria balance has huge potential to cause inflammation, over activation of your immune function aka allergy like symptoms, help stop your body absorbing vitamin nutrients e.g. omega 3, help let your body absorb toxins which are supposed to enjoy your toilet not your skin cells. A fab way to say hey – oh no you don’t is to eat what’s called pre-biotic foods. Aka foods which help good bacteria grow. Leek is perfect. 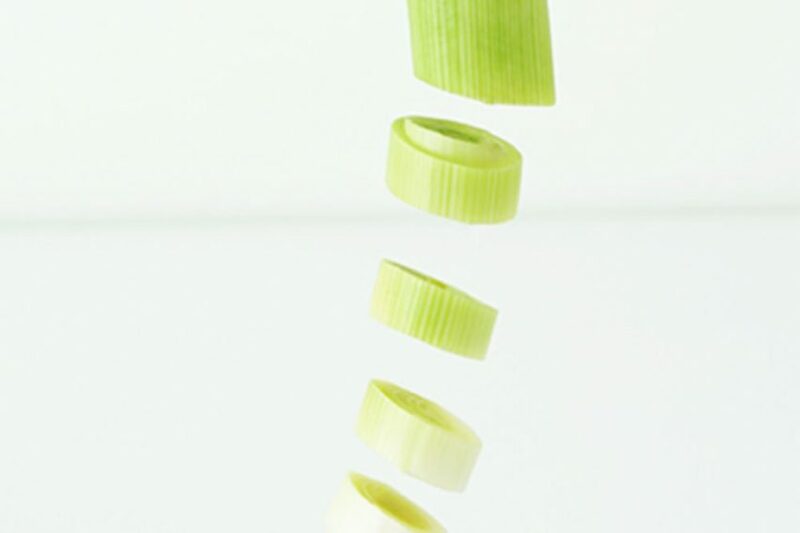 Leek is a source of inulin which is food love for good gut bacteria. Scientists know this because they investigated the poo of people who ate inulin and the poo of people who didn’t. People who ate the best foods for skin containing prebiotics like inulin saw healthy bacteria populations increase e.g. bifidobacteria and bonus – unhealthy bacteria populations go down. Good bacteria 1: Bad bacteria 0. Some of the best foods for skin contain big amounts of trace minerals. Which is like saying here’s the biggest source of the smallest chocolate bar which ever existed. Trace minerals are extremely important to your body. And one particular trace mineral – zinc – is extremely helpful for skin healing aka acne fighting. In fact – zinc works hand in hand with vitamin A. Without zinc, your body can’t bind or move about vitamin A. Zinc is like vitamin A’s baby sitter – it can’t leave the house without it. …and double in fact – having low blood levels of zinc is linked with risk of acne. Bottom line: If you’re experiencing acne, spots and breakouts or want to help prevent them, finding the best foods for skin which are high in zinc should be your top priority. So many skin conditions are caused by histamine release – a kind of hormone which gets activated because your body thinks it’s being attacked. Pollen is a common allergen. Essential oils in skincare contain common allergens. Dust is a well known allergen. Did you know – people who eat a diet packed full of flavonols aka a kind of antioxidant have a much lower risk of allergic conditions like asthma? …and that when animals experiencing dermatitis are given a booster of flavonols their skin symptoms improve? Bottom line: Flavonol rich foods and drinks are some of the best foods for skin – best because they’re packed sky high with anti-histamine like actives. There you have it my friend, some of the best foods for skin. How does your clear skin diet match up? Do you have more questions about the best foods for skin? Wondering about something you eat all the time? Come chat with me in the comments below. Leave me your Q and i’ll be back to you very soon – promise.